Ring in the fall season with a fresh, new container! Peg Castorani, co-owner of Gateway Garden Center, leads you on an inspirational tour of Mt. Cuba Center's native plant containers, discussing design principles and container selection, after which she presents practical advice on the basics of planting and maintaining containers. 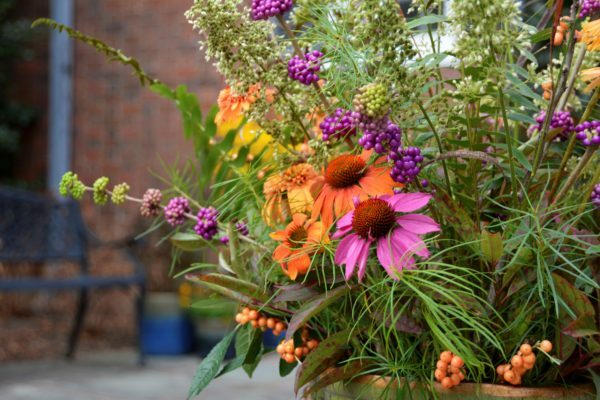 Make your own autumn-themed garden-in-a-pot to give your outdoor living space a seasonal flourish. Bring gardening gloves. Plants and container included in the fee.